The Research Design and Conduct Service (RDCS) South East Wales held its annual showcase event recently. This is our longest running event, now in its sixth year, and it has been oversubscribed every time. In recent years, it has focused on the upcoming Research for Public and Patient Benefit (RfPPB) call. This year we had another excellent turnout and a very productive day. 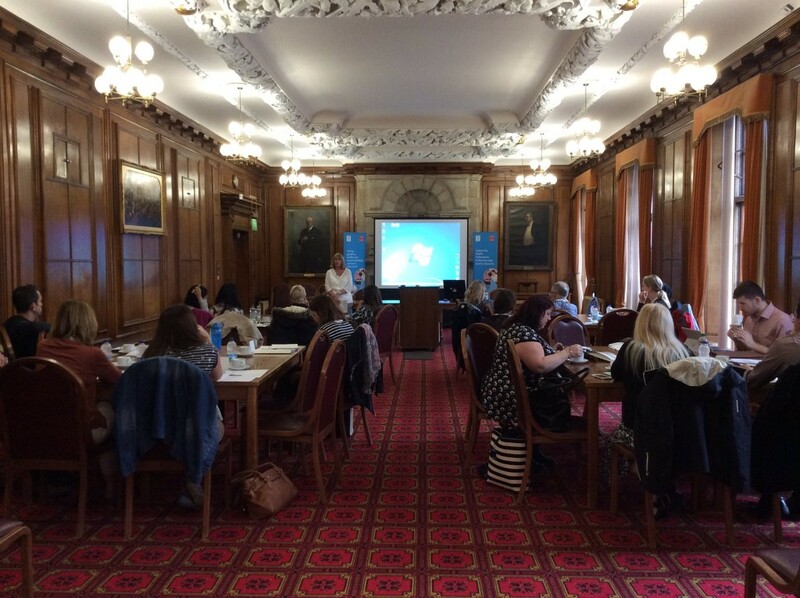 We began with a short introduction to the day by our Deputy Director Sue Channon. This was followed by an overview of key features of successful funding applications delivered by Dr Mark Kelson. Following a short break, we had presentations on the importance of Health Economics by Professor Deb Fitzsimmons as well as a fascinating session where Dr Kirsten McEwan fed back on her experiences as an observer at the RfPPB panel discussions this year including hints and tips for improving delegates’ submissions. One of the most popular sessions we have run for the past few years followed, where we provided the delegates with copies of both successful and unsuccessful actual proposals from previous year’s funding rounds. This is extremely useful for researchers as it covers the intangibles of what makes a great proposal; from the language used and the flow of the document, to the layout and the presentation style. In the afternoon we also had a great presentation from director of Health and Care Research Wales, Professor Jon Bisson, where he outlined the intended vision and scope of Research for Patient and Public Benefit funding, in terms of both health and social care. All in all, the day was a great success with huge amounts of detailed and pertinent information being presented to delegates. We hope our event contributes to the improving standard of proposals we have seen year on year in this important funding call. Best of luck to all of the applicants! The event achieved an average satisfaction rating of 80% from 21 attendees. 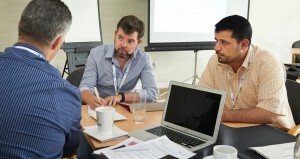 Delegates really enjoyed the feedback from observer panels and we intend to develop this into a regular annual feature to give you the inside scoop on what are the priority areas from funding panels. Dr Mark Kelson, RDCS consultant, advising delegates. We take all feedback very seriously. Here is what our recent delegates suggested we could do to make the day even better as well as our commitment to integrate that into future events. Who is your target audience e.g. a politician or specific NHS trust. This is important because the clearer you are about your target audience, the more likely it is you can begin to think through how you might disseminate your work to change practice (impact). Who will decide whether or not research is rolled out? Who is likely to be a facilitator? We will be working to develop a module or presentation on dissemination because this is an increasingly important consideration for all funding applications. A section is already being drafted for inclusion in 2017. As ever, we will seek to write this in lay language and look for feedback from our clients. We think this is an excellent suggestion. We have been very fortunate to have the Involving People Network lead Natalie Simon at previous RDCS events and we hope Natalie or others from her organisation will be able to join us again at future events. Experienced statisticians are available throughout the RDCS consultancy process and we plan to make this support more explicit. The team will be looking at more bite-sized sessions. This will include extra time to consider these applications and integrate lessons that might be useful. We will look at tips including additional pots of money available from other funding sources. We will also look to put together a guide / a short summary of useful places to look for funding for smaller scale interventions. We appreciate the funding process is tricky. Our consultants are available throughout the year and, as part of the Centre for Trials Research, have access to the largest group of academic clinical trials staff in Wales to provide support. We are here to help you navigate the choppy waters of uncertainty. We also do work closely with R and D teams, and we are happy to discuss applications at any stage. If you are unsure, please complete a support for request form and one of our consultants will call you back. The Research Design and Conduct Service South East Wales is funded by Welsh government through Health and Care Research Wales. 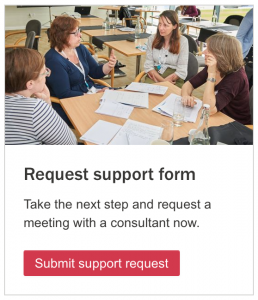 If you based in Wales, are an NHS professional or work in social care and have a research project you would like support to put in a grant or funding proposal for, please request an RDCS consultation now.